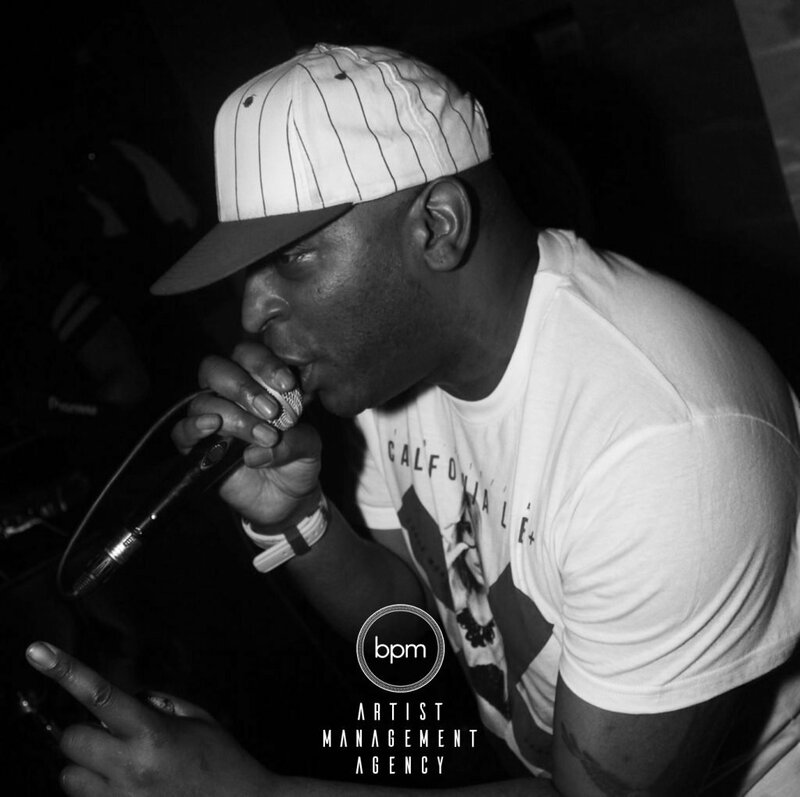 Legendary Drum and Bass MC and one of the finest to ever grace the mic, MC Flux has exclusively joined BPM Artist Management Agency. MC Flux has been touring the world since 1993. He has been tirelessly spreading the sounds of drum and bass to his fans worldwide ever since. He’s performed to crowds of up to 40,000 people in countries all over the world. Countries have included, Japan, New Zealand, Canada, Australia, Hong Kong, Brazil, U.S.A, Tasmania, South Africa, Singapore and Israel. The man has also appeared at almost every country in Europe. MC Flux is a true pioneer of the Drum and Bass scene. Spearheading this type of music, he was one of the first ever professional mc’s to touch down on the mic. He has been there from the very beginning and is one of the most experienced and professional MC’s on the circuit. MC Flux refuses be categorised. His flow is one of the most unique any drum and bass MC has to offer. Having the flow of an exceptional host and when required the energy and rolling stamina of a professional crowd hype MC. He instinctively knows when to roll, when to hype and when to host. He is as highly experienced as he is unstoppable. This vast experience has taught him to always keep up with the ever changing times. Continually developing his unique style to compliment even the most innovative types of drum and bass being produced played today. Let’s go back. In 1992, MC Flux was signed by Rob Playford as a PA artist for the Moving Shadow label. Around the same time he discovered DJ Bailey who made him a resident at club Extreme, a discovery which was to prove extremely influential. As a member of Metalheadz crew, he was very quickly busier than ever touring with Radio 1 on the Radio 1 in the Jungle Tour with Kemistry and Storm. Additional tours also included the infamous Groove Connection Tour as Fabio & Grooverider’s MC. 1995 saw him at the top of his game. Cemented as being one of the most renowned MC’s in dnb. A career defining moment was being invited to be the resident MC at the world-famous Voodoo Magic at Equinox. A huge achievement for any artist at the time, this was the place where the one called Andy C also made his name. 1996 was the year Flux gained his residency at The Laser Drome in London. Playing in London, considered the home of Drum and Bass, heightened his career even further. These achievements lead to regular appearances at raves such as Innovation, Desire, Dreamscape, World Dance, Innocence and Helter Skelter amongst many others. Flux has also held many other residencies with places such as; Ram Records, Moondance and many, many others. MC Flux has consistently worked alongside all the biggest names in the Drum n Bass industry. As anyone who has seen him perform will testify, it’s his unmistakable flow and artistic charisma is what sets him apart. Always looking to the future, MC Flux enjoys discovering new talented up and coming DJ’s and MC’s in an ongoing effort to push drum and bass forward. Let’s also not forget that he is currently working with some of the freshest and most renowned DJ’s, producers and events in the industry. In 2018 a refreshed Flux is back on the attack. Stronger than ever with his unique crowd hyping skills and lyrical flow, he is once again making heads turn and crowds hyped. Don’t take our word for it, listen to the set above with current influential producer & go to guy T>I. This legendary MC is undeniably an extremely talented artist. The way he controls a crowd is something to be seen and heard and definately something you won’t forget. Any true junglist knows about the mighty MC Flux and about his unique talent. If you are one of the new generation to the scene, you will certainly know the name. You will also need to see and listen to the way this artist performs!